Surviving an impeachment will be a herculean task for Dilma Rousseff. With economic contraction and growing expenditure, the fiscal deficit will increase. There is no more room for gambling. 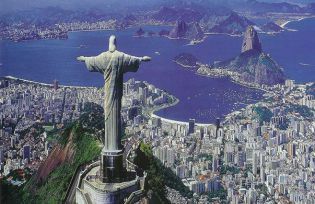 The economic situation in Brazil is far from satisfactory. After dealing with (hyper) inflation in the 1990s and income distribution in the 2000s, the next hurdle is how to grow again. And this time Brazilian society cannot avoid making tough decisions to pledge a better future. If there is no action, the current (long) recession will very rapidly become a fiscal crisis. The exchange rate will depreciate further (and fast); interest rates will soar; investors will lose trust in Brazil and the rating agencies will have, yet again, to degrade the country. Is there a way out? Yes. But it is a difficult one. In the 1980s, the issue was a fiscal one. After being hit by two oil shocks, a careless fiscal management generated a major problem: there was no cash for paying debt. Blowing its problems away was no cheap strategy, and it took its toll. For some countries under the weight of the “original sin” (and Brazil is one of them), external debt can only be paid in foreign currency. This question solved, hyperinflation overtook the macroeconomic agenda. Brazil managed to win this battle with a mixture of orthodox recipes and a heterodox approach: fiscal tightening, commercial opening (with an exchange rate peg) and two simultaneous currencies. The old one carried the heavy burden of inflation and new one eventually became the current “real”. By stabilizing the economy, Brazil was able to tackle the next problem in the 2000s: income distribution. Social programs were either enhanced or created, and this was at all possible because controlling inflation is a major social program. Brazil grew on the basis of a number of factors: a rise in the terms of trade; the absorption of commodity exports by China; microeconomic reforms completed in the late 1990s and further reforms until 2005; plus other features such as incorporating the idle capacity of the labor market into the productive economy. More people were consuming, the economy gained some efficiency, and everything was fine. This is a part of the problem. In 1988, Congress drafted the current Brazilian Constitution. Among other things, the aim was to mimic some sort of European welfare state. In order to do that, more than 90% of government expenditure is now inelastic, which means that any changes should be discussed and agreed to in Congress (in both the Lower House and the Senate). This entails investing political capital in negotiations and usually coming to a trade-off affecting benefits of those who voted for you. Incentives are designed in such way that any politician wants to avoid budget changes. This is exactly what politicians did. Given that the country’s economy was growing, why bother then to discuss, for example, the increasing expenditure on social security benefits, particularly in a country that is still “young”, even though it is aging very fast? Over and above the level of government spending, the growth index is a problem. Actually, it is the problem. According to the Brazilian Constitution, the growth of a number of expenditure items is predefined. If the minimum wage rises, so does the lowest layer of social security benefits. And the rule currently in force is that the increase of the minimum wage is determined by the added sum of real growth in the previous two years, plus consumer inflation. Even in the absence of real growth, consumer inflation can trigger a minimum wage increase, something that in turn causes other expenses to rise. This dynamics was set up in 1988 and Brazil was able to manage its balance-of-payments problems in the 1990s, its blackouts in 2001, its troubled elections in 2002, and the financial crisis in 2008. Why is it, then, that the fiscal crisis is relevant today, and not five years ago? In order to understand why a fiscal crisis will soon hit the frail Brazilian economy, one should take into account the dynamics of two different inflation measures: consumer inflation and GDP deflator. The first has to do with government expenditure, the latter with government revenue. Let us have a closer look at them. The graph shows the annual change in consumer inflation (lighter curve) and GDP deflator (darker curve). Shaded areas show some tough periods: the 1999 Brazilian currency crisis; energy problems in 2001; the 2012 elections and the troubled first year of the new term; the recession caused by the global financial crisis in 2008 and, finally, the current economic downturn. Excluding the global financial crisis, there is a regular pattern here: troubled years show a “closing gap” between the two inflations. When GDP deflator rises above CPI inflation, government revenue increases more than its expenditure – i.e., even with the problem of the constitutionally fixed expenditure rate, this is not an obstacle because there is enough capital to cover the extra spending. However, when the situation is reversed, the government must rely on real growth. Since almost all government revenue comes from tax collection, economic activity becomes decisive. Besides, funds depend on nominal GDP rather than real growth. From 2004 to 2008, the above mentioned factors sustained growth. In 2010, Brazil stimulated the economy with countercyclical policies (both monetary and fiscal) and thus avoided a deeper recession. But no single economic policy works for every country, all the time. This is a lesson that should be known better. Instead of removing stimuli when the economy was back on track, they were kept in force. Credit was expanded via commercial public banks, including Brazil’s biggest development public bank (BNDES). These policies were complemented with tax cuts in chosen sectors, tax rises for imports, exchange rate depreciation, and aggressive cuts in interest rates. However, demand-oriented policies did not work. Why? Mainly because there was no lack of aggregate demand. Demand was solid. Actually, it was larger than national companies could match, so that it was met with increased imports. But poor infrastructures, the heavy tax load (a consequence of poor public management of the expanding public spending), the lack of proper competition in some sectors, the dismal quality of public education and low incentives for innovation, among other factors, made it hard to increase production in order to meet domestic demand. As a result, Brazil lost its capacity to grow. Without growth, the “closing gap” between the two inflations exposed a dysfunctional fiscal dynamics: as expenditure keeps on going up, revenue does not, necessarily, climb as fast. Primary surplus became a primary deficit, debt rose and two rating agencies withdrew the investment grade. Even with high interest rates, investors end up losing confidence. In fact, even in a recession, interest rates went up, reaching 14.25% per year, while the world markets were keeping a close-to-zero- interest rate. What will happen, then, when other countries start to raise their own rates? “There are repeated periods during which real GDP falls, the most dramatic instance being the early 1930s. Such periods are called recessions if they are mild and depressions if they are more severe.” (Mankiw, 2003). With economic contraction and growing expenditure, the fiscal deficit will increase. Revenues have been surprisingly negative and they are very likely to keep on being so. Rising debt and skyrocketing interest rates will curb confidence, and the highly sensitive post-2008 financial markets will be quick to dread Brazilian prospects. The already high unemployment rate will go even higher, the exchange rate will depreciate further, and monetary policy targets will be very hard to achieve. As if this were not enough, surviving an impeachment process in a (to say the least) fragile economy will be a herculean task for Dilma Rousseff. Brazil had several opportunities to do its homework, and wasted every single one of them. I am not confident anymore that we will take advantage of our luck. There is no more room for gambling. João Ricardo Mendes Gonçalves Costa Filho is a lecturer of the Professional Master in Economics and Finance at the Sao Paulo School of Economics/Getulio Vargas Foundation (FGV) and professor of the Faculty of Economic at the Armando Alvares Penteado Foundation (FAAP) in Sao Paulo. He is also associate consultant at Pezco Microanalysis, Brazil.